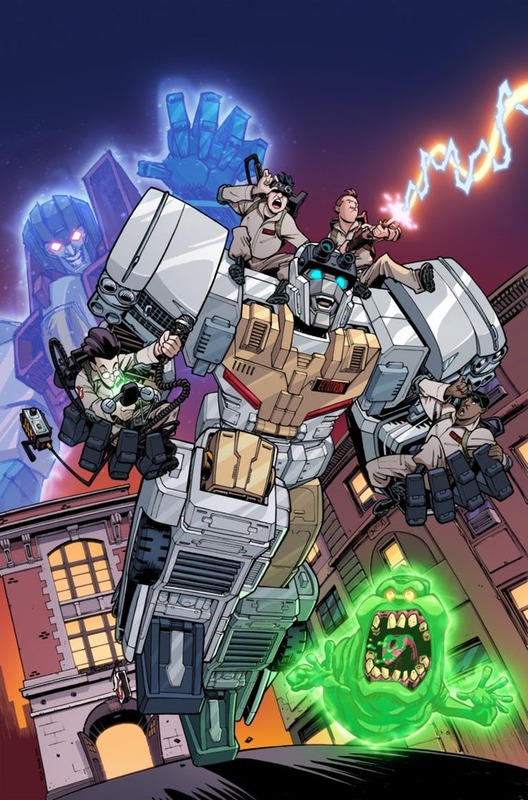 Cortesy of CBR.com we can share for you some new pages of the upcoming Transformers / Ghostbusters #1. This is the first issue of a 5-part mini-series which will debut in June. 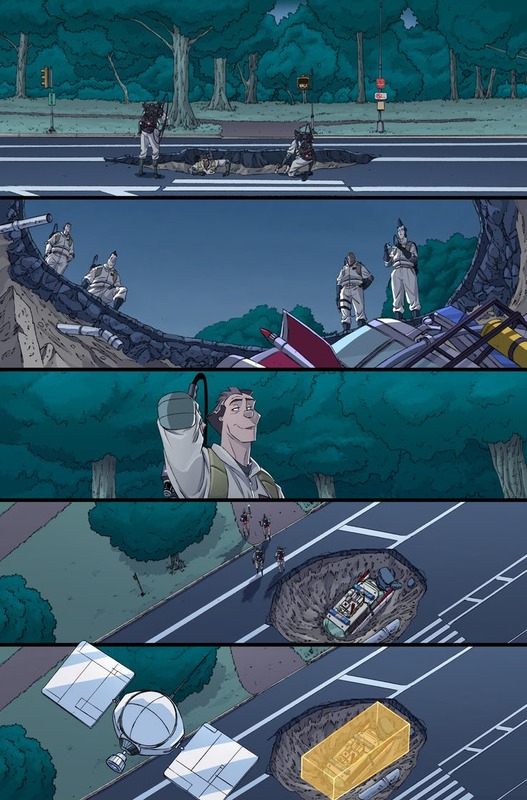 From the looks of this new 4-page preview, we may see the origin of Ectotron in the series. Click on the bar to see the mirrored images on this news post and let us know your impressions on the 2005 Boards! The humans look like terrible caricatures. Ray (or at least I think it is Ray, hard to tell with them all having the same hair color and uniform unlike in the cartoon) has a head like a neanderthal and a permanent \"DUUUUUH\" expression. 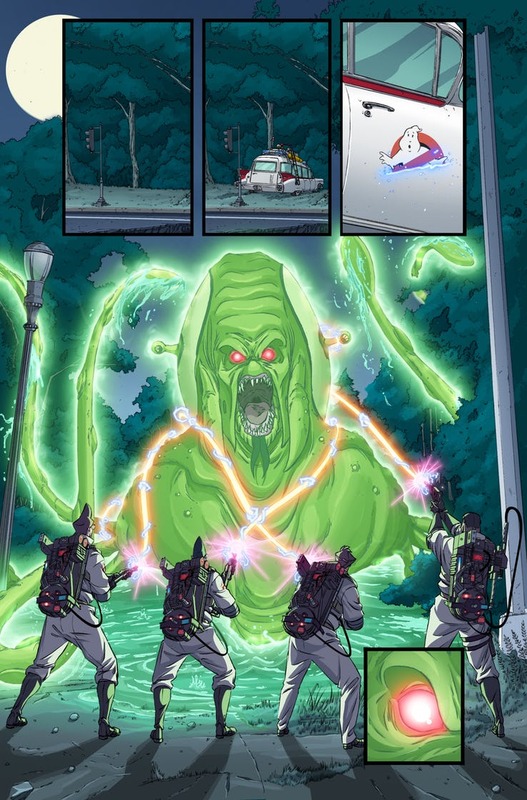 And why is Slimer turning into Chtulhu? Chins. Whoever drew this needs practice with chins. And yes, I know it's a style. But it's a chin-less style. Or perhaps it's a chin-chin situation. 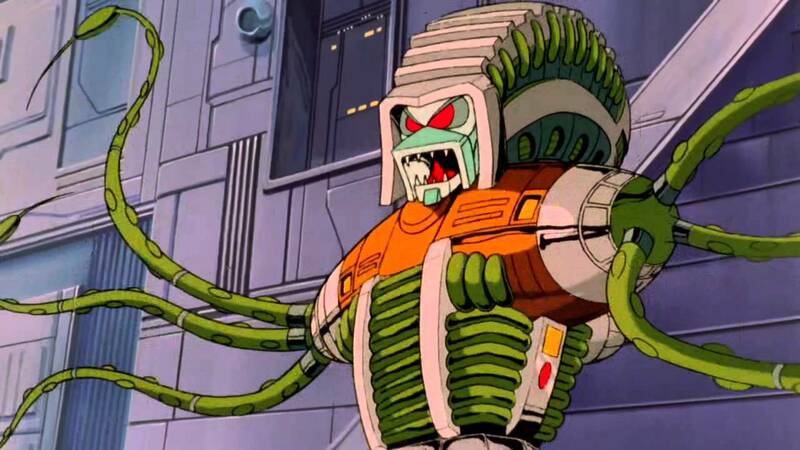 Also, is it bad that I want the five part series so it can go with the Ecto bot when he arrives? Even with chins, or lack of chins? Having read the Ghostbusters run I can confirm that there are some people with chins, (mostly the women and Peck). Personally I think the art style lends itself to the idea that the Ghostbusters are middle aged. 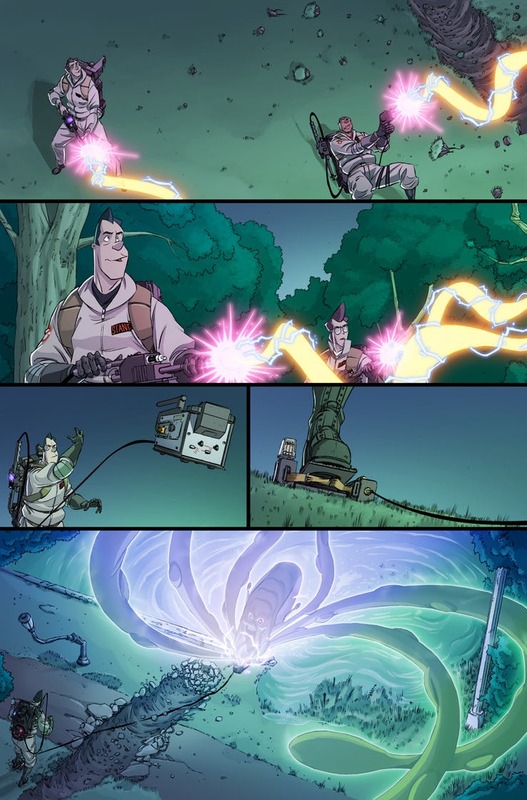 I am definitely a fan of the art style though, I'm not 100% sure how I would have felt about the Ghostbusters comics if they had been drawn in a more realistic style myself. Heeeey, that ghost looks familiar. 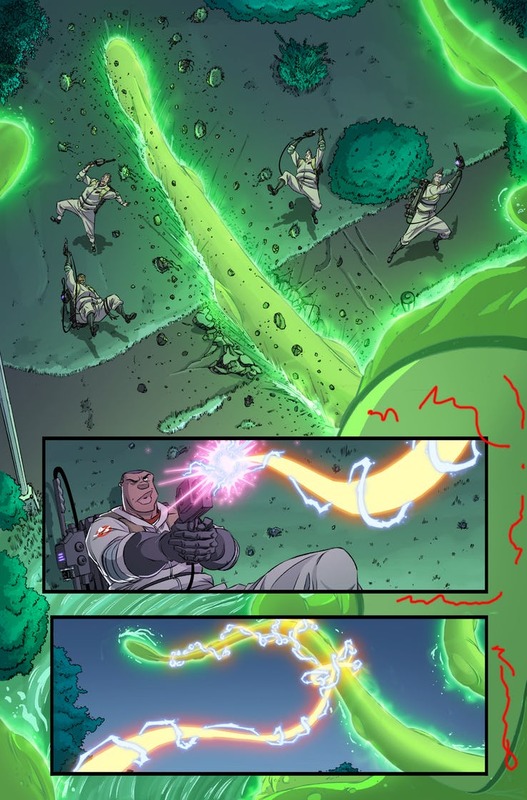 Isn\'t much of a preview, and more of the Ghostbusters doing what they do. I think that's who it's meant to be. I'm super confused: are we still at the point where they haven't added the dialogue and text boxes, or are they going LEGO Star Wars on us? Is that a ghostly Quintesson? defiantly looks like one. 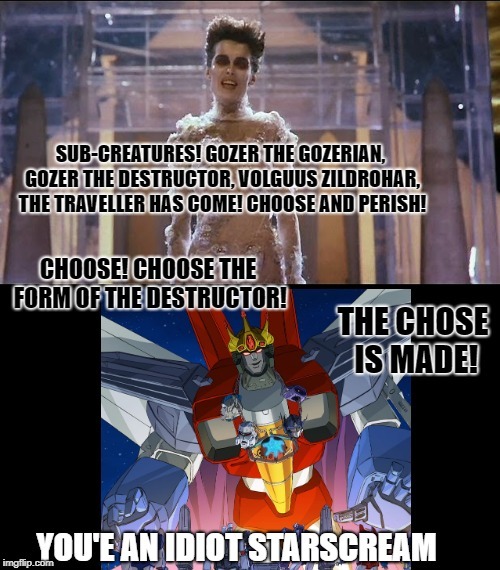 Really makes me wish we can get a Gozer repaint out of Siege Chromia even more which I wouldn't be shocked if that ended up being a SDCC exclusive this year. To quote another user below. Starscream you are an idiot. No you're is right. I love this, but… "and" idiot?